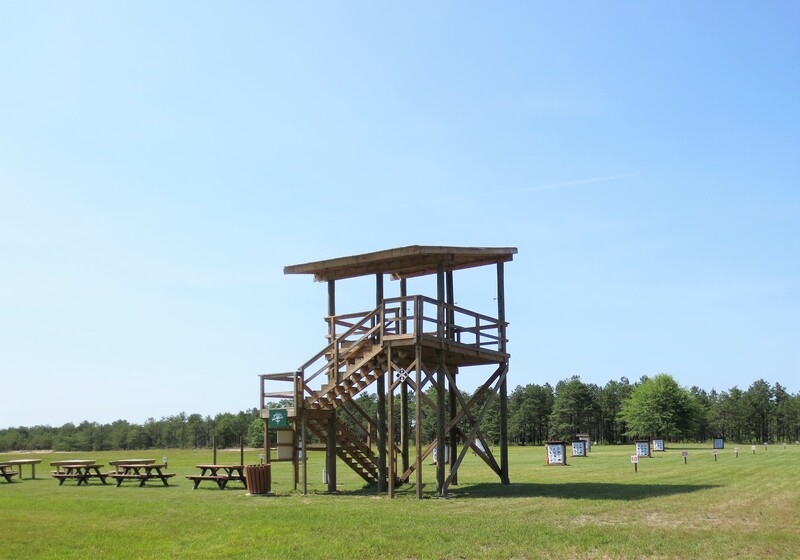 100 yard archery range with elevated tower and crossbow stations. $10 per day a person. We currently offer bag targets, ask for in office. There are stationary targets on the range. 1. All users must check in at range office prior to using the archery range. 2. You must be at the firing line when shooting (NO shooting from down range). 3. Any drawn bow will be pointed down range. 4. Be sure of your target and beyond. 5. NO broad heads. Field points ONLY. NO exceptions! 6. No running or horseplay. 7. You may only nock an arrow if you are on the firing line and no one else is down range. 8. All shooters must signal ALL CLEAR before going down range or before 'commence fire' is given. 9. Rules are subject to change at any time, at the Safety Officer's Discretion. 1. All shooters are required to wear an approved tree stand safety harness. 2. All shooters when on firing line MUST be connected to shooting station pole (strap or quick connect D ring may be use) DO NOT connect to forward rail. 3. Maximum of 4 shooters on firing line at any time. NO exceptions. 4. Maximum of 8 archers on tower at any time. All must be shooters. 5. No climbing or sitting on rails. 6. Equipment should be stored to the rear of shooting line. 7. No tree stands may be used or connected to any part of tower. Disclaimer: Range 14 is responsible for the content on this page.